Did you know there is a worldwide effort to promote eco-tourism and geotourism? Neither did I. Earlier this month, an eco-tourism delegation from Tajikistan visited Lake Tahoe, and it became my distinct honor to greet them at Clemens Cove as Mark Twain to share some tales of Tahoe. George Mathews of Sand Harbor Water Sports motored me over in a sleek Zodiac, delivering me to the sandy cove without a drop of water on my boots. Of course I pumped him for a recent Tahoe story that I could share with our guests and he was the right man to ask. William Meeker lived here at Lake Tahoe in 1863, and one day he was out rowing his dingy when he found himself going off course. He pulled in the oars and sure enough, started swinging ‘round like this. He looked over the side, and at 80 feet was a hole in the bottom of the lake. Being the curious sort, he rowed ashore, chopped down a tree, cut off a conical plug, rowed back out, and with a steamer chain, dropped it down to where it sucked into place. Well he didn’t think much more of it until he read in the papers a few days later that the waters in the Savage Mine were receding. Meeker shared this curiosity with his friend Col. Claire; now Col. Claire had some money. 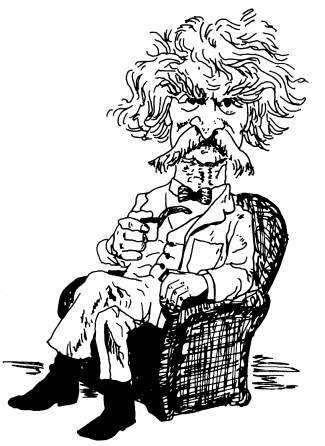 Col. Claire said, “Tell you what, you pull that plug and if the water comes up in the Savage I’ll go down to San Francisco and corner all the stock in the Savage Mine that money can buy. Well that’s just what Claire wanted to hear, so when Meeker weren’t noticin’, he grabbed the winch handle and gave Meeker a whack on the back of the head that sent him spilling over the side into the water, where he started turnin’ ‘round and ‘round like this, and down he went. So now we know who that body was they found in the bottom of the Savage Mine in Virginia City, it was William Meeker. And we also know how deep this lake is … it doesn’t have a bottom. It’s connected to Virginia City by lava tubes. Well, our friends from Tajikistan went away determined to help keep this bottomless lake blue. 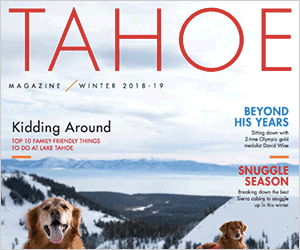 So thank you Jacquie Chandler of Sustainable Tahoe, and Michael Graf, of the Northern Nevada International Center, for coordinating the U.S. Library of Congress Open World Program to promote eco-tourism and geotourism at Tahoe. And thanks to you, the gentle reader, for helping to keep Tahoe blue. Come take a ride with me on the M.S. Dixie this summer so we can enjoy Big Blue together, while you spin me a new story or two.